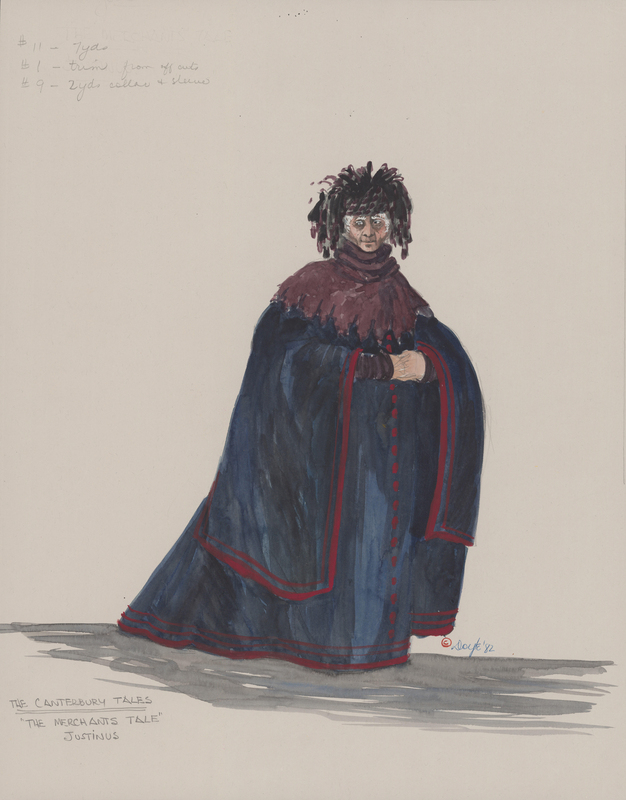 Item is a watercolour and gouache sketch of a costume design for Dalhousie Theatre's 1982 production of the Canterbury Tales. The costume is for Justinus from "The Merchant's Tale." The sketch shows one male figure wearing the costume.